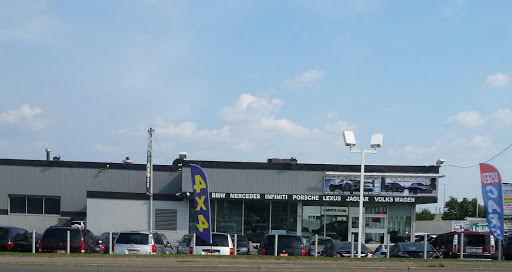 Do NOT buy a vehicle from this sales lot! I drove here from 2.5 hours away to buy a vehicle I was looking for. They asked me to come back late in the day so they could do the certification and "clean it up". I did as asked. When I picked up the vehicle it was filthy, it was like dirty soapy water had been wiped all over the inside dash and I couldnt even see out the windows clearly to drive it home. I asked the sales person for some windex and paper towel to clean up the inside of the windshield. He came out with newspaper and began to dry wipe the windows??? Once I got the vehicle home I realized the climate control was only blowing out the panel vents, no floor or defrost which is a big safety no no. They certified the Vehicle without working defrost! When I called back the next day I was told "it was working at the time it was certified". (They are technically incorrect, a safety certificate lasts for 36 days) I asked to have it diagnosed and repaired locally to where I live, they refused. I ended up repairing it at my own expense. The mode selector servo motor that changes air flow from floor/panel/defrost was faulty. Overall BAD experience that was attributed to the staff not the vehicle, the vehicle is good except for the safety defrost issue. Do not buy from here - they will try to scam you! I went in about 1 month ago and looked at an 05 MDX. Price was clearly marked and advertised at $9,995. When I went inside the office they showed me a Carproof report from October 17, 2013 hoping I wouldnt notice the date (they flashed the Carproof report to me for like 5 seconds). This is illegal since Carproof reports are only valid for 6 months. Secondly, they tacked on an admin fee of $395. This is also illegal as we have an All-in Pricing law in Ontario. They went on to tell me that almost all used car dealerships have an additional admin charge. Damn scammers. Finally, they were pressuring me to make a decision on the spot without even me taking the car out for a test drive. Also, Ive been to several used car dealerships, and they offered me, by far, the lowest trade-in value for my car. Luckily, I walked-away from the deal since it just didnt feel right. But I know Im never going back there so buyer beware of these con-artists. Worst experience ever. STAY AWAY Came in here to look at a couple of cars because my mom had heard about them on the radio. We jumped the gun and made the mistake of signing on the car and placing a down payment through my moms CC. The guy pushed me into signing papers without letting me fully read it. Showed me a year old carproof on the car. Didnt explain anything to me about how long my term is, what my interest rate is, how much Im paying every month, etc. and had gotten me approved for a finance by lying on the finance application. When I realized Ive been ripped off we came back the next day to get a refund on the $3000 we gave him down and cancel the contract. He ended up keeping $500 of the $3000 for "his troubles" after making us wait here for 4.5 HOURS because he was "gone on lunch" If you wanna save time money and headaches DO NOT buy from here. Stay away these people really know how to scam someone and take advantage of a vulnerable person. Never go there. Expensive, Scammers, bloody. They were giving me honda civic 2006 with 195000 kms car for 20% interest. Charged $900 for financing fee, $400 for administration fees, $700 for safety and tax was around $2000 by which that car went around $12000. I told them I dont need this car and they returned me only $1300 and kept $700 with them. They never provide full information. Will Just push you forward to make down payment and will take your initials all over their documents. Friendly staff that helped me out right away. I came here to get my vehicle appraised and they did just that. I got what I needed, and wasnt hassled or pressured to sign anything or to pay more. The shop looks pretty clean, and they appear to have a decent selection of cars. I didnt buy a vehicle (with used cars, its always "buyer beware", anyways) but my experience here was great. We are here to serve you for over 25 Years. Honesty is The Best Policy. You can buy with confidence. Nice used car inventory to select with very reasonable price. Wonderful experience, very friendly sales team!